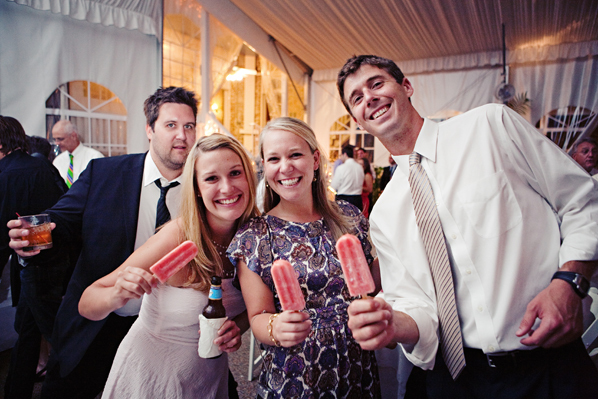 For those of you planning a summer wedding, especially an outdoor affair, consider a nice cool treat for your guests! One of the best things we’ve seen are gourmet popsicles. They come in a huge variety of flavors, so you can even take it as far as to match them to your colors. 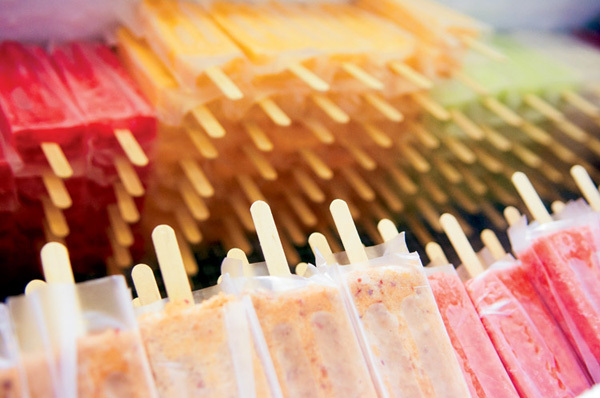 One of our favorite companies is Las Paletas…they taste amazing! However, if you live outside of Nashville, I’m sure that you can find some fun, cool (as in the temp!) treat to serve your guests. 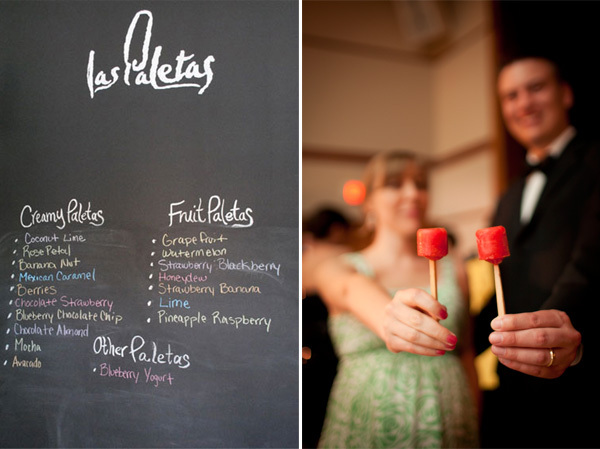 If you are not able to find a company like Las Paletas, consider your closest ice cream or sorbet company. 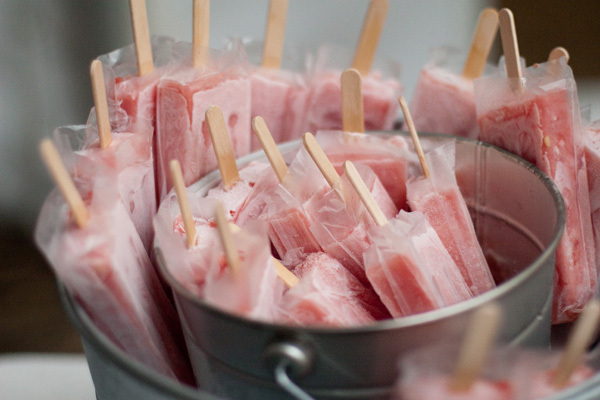 A nice cold treat is perfect touch on those humid, hot evenings…your guests will appreciate it! I adore las paletas! So yummy. try the chili pepper and chocolate. So good.